This is the pattern: Robin’s Egg Blue Hat. It’s terribly cute, pretty easy and has so much potential for personality due to the button detail. This is my first project to use a seed stitch too, so it’s great practice. 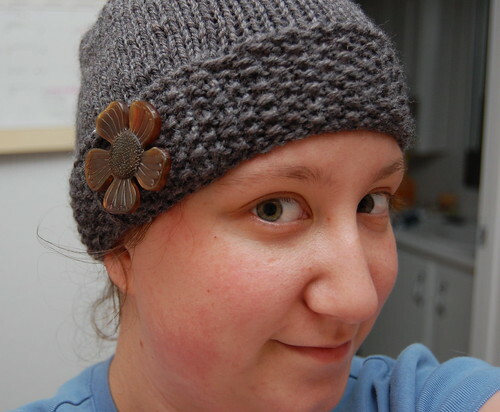 Also, the use of 10.5mm needles to get gauge makes this hat “fly off my needles” as they say. So, it’s been more than a month since I started writing this post. I’m now finished with my hat! The button is from As Cute As A Button. I still have to send it to my mom, but hopefully she likes it!